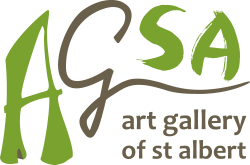 Guilded – "A River Runs Through"
Guilded is a time-honored exhibition at AGSA that enthusiastically showcases works created by members of the St. Albert Place Visual Arts Council (SAPVAC). 2016 sees the return of the guilds to AGSA with the exhibit, A River Runs Through. With this literary title as inspiration, artists will celebrate the actual and metaphysical landscape of our community. With origins dating back to the 1960’s, SAPVAC boasts five active guilds; St. Albert Potters’ Guild, Painters’ Guild, Floral Arts Society, Quilters’ Guild and Paper Arts Guild. 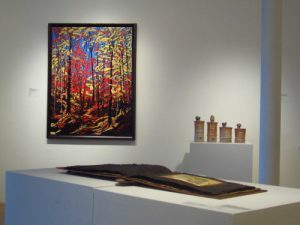 Founding members of these groups were paramount in cultivating the visual arts in the City of St. Albert in the early years. Today these dedicated artists continue to contribute to the cultural backdrop of the city, bringing vibrancy to a variety of annual events, as well as nurturing the talent, creativity and diverse skill sets of their membership.